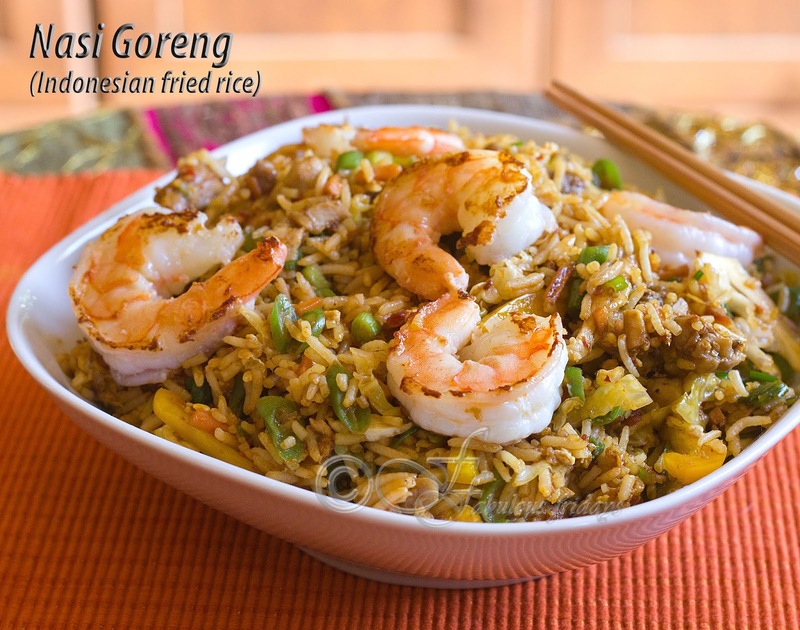 Nasi Goreng is the Indonesian version of fried rice. The main flavor boosters in the dish are kecap manis (the sweet and syrupy soy sauce), and sambal (the chili garlic sauce). You can find both of these in any Asian grocery stores. Nasi Goreng does not have a specific recipe. You can add anything you like to customize the dish. It is a means of using any leftover white rice, veggies, and meats. This here is my version, a wholesome dish all in one as a complete meal. In the following recipe, I have scrambled the egg and mixed it with the rice. Another very popular way to serve this dish is to top it with a fried egg. Both versions are yummm, just customize to your taste. Heat 1 tbsp oil in a wok and stir-fry cabbage, carrot, beans, celery, and peppers till tender crisp stage. Keep aside. In the same wok heat a tbsp oil in the center. Add the shrimp and cook for 3-4 minutes on each side till all the pink turns to white. Do not overcook as they get tougher. Keep aside. Heat 3 tbsp oil in the same wok and stir-fry sambal paste for 2 minutes, till brownish and fragrant, at medium heat. Push spices to the side of the wok and pour egg in the center of the work. Add rice, shredded chicken, kecap manis and soy sauce. Stir-fry everything quickly over high heat, for 6-7 minutes. Add spring onion and stir fried veggies and cooked shrimp. Mix well till all the flavors blend. Taste and adjust the sweetness and/or spiciness by adding more of kecap manis or sambal. 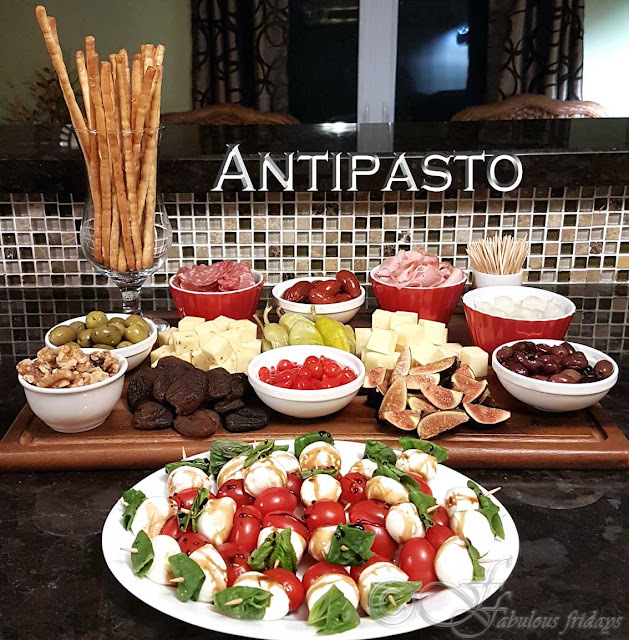 Serve warm with condiments such as sliced tomatoes/cucumber, fried egg, crackers, etc.